I worked with Flormy to buy and sell my apartment. She was the best resource for both transactions. For the buying process: I started off looking at independent homes, then moved to townhomes and finally ended up buying an apartment. During this entire process, approximate 8 months, Flormy was very patient. She showed me multiple places all over the York Region. Her goal was to ensure that I buy the home that I wanted without compromise. 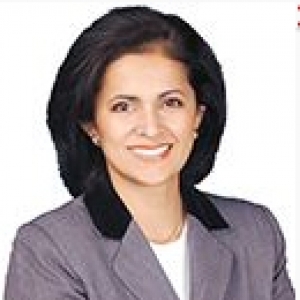 She has extensive experience in the real estate market. During property walk-through, she would make sure to mention all potential issues with the property: You are not surprised with anything later on. When it came time to present an offer, she handled the negotiation and I got the property even though my offer was not the highest presented. It was Flormy who recommended the limits based on her evaluation of the property and she worked hard to close below that amount (at the expense of her commission). The bank appraiser agreed with her assessment as well: making the mortgage process simpler: No need to add more funds on top of the down payment. On the selling side: Flormy was invaluable as I was traveling for work during the entire process. She handled everything from the staging of the property, cleaning up after showings, getting the status certificate, handling lawyer interactions. We sold the property within 2 weeks from listing. And it closed 3 weeks after that. At the start of the process, she mentioned a best case price for the property. She negotiated aggressively to bring the buyer up to that value. I was not sure that would happen given the difference in their initial offer. But it got done. She handled all the intermediate dealings with the buyer. Once they reached a number that I needed to consider I was brought in. Flormy treated me like family: Similar to an older sister guiding her younger sibling. I learned a great deal about real estate from her. I have and will continue to recommend her to anyone looking for a home in Toronto. If she doesn't service your target area, she will find someone just like her who can help you.